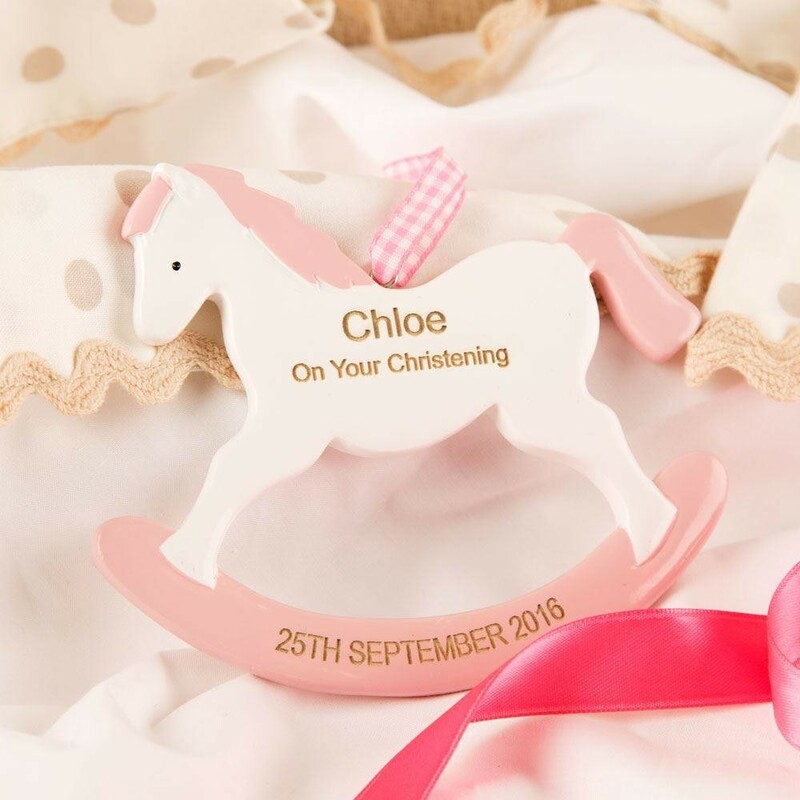 This beautiful pink and white rocking horse makes a special Christening gift for any little girl. The hanging ornament features the girl's name and her Christening date. 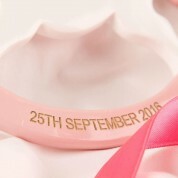 Her name is engraved on the body of the horse, alongside the "On Your Christening" text, with the date engraved on the pink rocker below. This would be the perfect gift for Parents, Grandparents or Godparents to give to their special girl. she can cherish it for years to come. With its loop of ribbon, it can be hung in a nursery or bedroom.